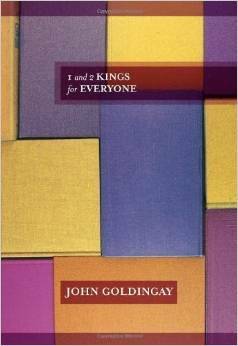 John Goldingay, 1 and 2 Kings for Everyone (Britain & USA: SPCK & Westminster John Knox Press, 2011), 212 pp. 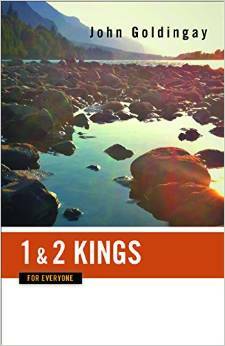 1 and 2 Kings for Everyone from SPCK publishers is also available at Amazon UK. 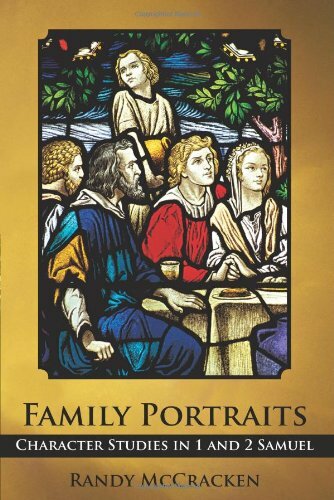 Originally from Britain, author of 1 and 2 Kings for Everyone, John Goldingay is currently a professor of Old Testament at Fuller Theological Seminary. Although there is no statement in the preface defining the targeted audience, one would expect that a commentary series with the title “For Everyone” in it would seek to communicate to people who have various levels of understanding of the Old Testament. But Goldingay’s targeted audience becomes clearer when, in his introduction to the commentary, he laments that “[the Old Testament Scriptures] were for everyone in fact. So it’s strange that Christians don’t read them very much. My aim in these volumes is to help you do that” (p. 1). The small size of this commentary (190 pages, plus a 10 page glossary), along with Goldingay’s comment in the introduction, makes it evident that his main purpose is to introduce readers to some of the basics of 1 and 2 Kings. The designation “For Everyone,” then is a bit of a misnomer, unless the title means to convey the common person in the pew. 1 and 2 Kings for Everyone is designed for the Christian who knows little about the books of Kings. The structure of the commentary is simple. Goldingay begins with a brief 5 page (really 4 1/4 page) introduction. He presents an outline of Old Testament history to help those who might be unfamiliar with its timeline and then gives a brief summary of the content of 1&2 Kings. Goldingay incorporates other introductory matters, such as the date of writing and theories of composition regarding 1 and 2 Kings, into the textual commentary itself. Each section of the commentary begins with a fresh translation by Goldingay of the Hebrew text (more on this later), followed by an introductory anecdote (usually drawn from his personal life) that segues into a discussion of the text itself. John Goldingay, author of 1 and 2 Kings for Everyone. 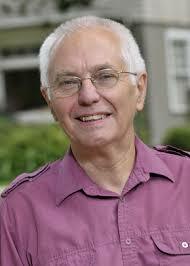 John Goldingay is a well-known Old Testament scholar who brings considerable knowledge to the table. This knowledge is shared in a warm-engaging style throughout the commentary. Through the personal anecdotes that begin each section (although Goldingay admits disguising some in order to be fair to others–p. xi), one comes away feeling like he or she has had a personal discussion with the author about 1 and 2 Kings. One area of Goldingay’s knowledge that the reader will benefit from in reading 1 and 2 Kings for Everyone, is the way he weaves archaeological information into the text to help illuminate it. For example, Goldingay notes that the temple of Solomon follows the plan of other Canaanite sanctuaries or royal palaces. He demystifies the interior layout of the temple by explaining that, “it follows the logic of any house, or in particular of a palace. There is a public area where people are welcomed into the king’s presence, the equivalent of a yard or lounge [temple courtyard]; there is the hall where the king would meet with his staff [holy place]; and there are the king’s private quarters [holy of holies]” (p. 27). Theologically Goldingay does a good job combining discussion of both bigger and smaller issues raised by 1 and 2 Kings. In this reviewer’s opinion he presents a balanced view of the sovereignty of God and the freewill of humans. One example of this is the discussion of Ahab’s death in 1 Kings 22. He writes, “God’s relationship with people is always a dynamic one. God doesn’t have a plan that is foreordained to evolve. God’s purpose is worked out in dialogue with people’s responses, and it is worked out through acts like the random action of the anonymous archer who shot Ahab by accident” (pp. 105-106). Goldingay frequently appeals to the principle enunciated in Jeremiah 18:1-10 which states that God will change his actions based on people’s (or nation’s) response. Besides addressing “Big” theological issues, the commentary also draws out helpful insights, such as in the story of Naaman. Goldingay notes the significance of the captured Israelite maid who informed Naaman about Elisha, along with other “servants” (probably soldiers) who accompanied him and advised him to follow Elisha’s advice. This leads him to write, “The Naaman story illustrates how ordinary people sometimes see things that leaders can’t see” (p. 123). This is the cover of 1 and 2 Kings for Everyone as published in America by John Knox Press. This is also available at Amazon USA. The greatest disappointment of this commentary is its incompleteness. By that I mean that sections of 1 and 2 Kings are not translated or commented on. In my opinion this is a serious deficiency. It can be a frustrating as well as a disorienting experience to be reading the translation when all of a sudden a […] appears and several verses of text are skipped over. On other occasions even larger blocks of text are omitted with only a very brief summary of what they contain. I find it ironic that Goldingay states in the introduction, “My hesitation is that you may read me instead of the Scriptures. Don’t do that” (p. 2). This causes the commentary to send a mixed message: Scripture is important, but there isn’t room to include it in some places in the commentary, so…some parts aren’t as important! What naturally follows with the omission of chunks of text is omission of any commentary on that portion of text (except for the brief summary offered of the omitted text). How could this deficiency be corrected? I have several suggestions. First, 1 and 2 Kings is a lot of material. Why not make 2 commentaries (as is done with Goldingay’s Genesis for Everyone commentary)? One devoted to 1 Kings and the other to 2 Kings. If there is an unwillingness to do this (for a reason I can’t think of), then I have a few other suggestions. Second, although the personal anecdotes add character and charm to the commentary, they are not intrinsic to it. Why not omit the anecdotes and gain further space? Third, omit the 10-page glossary at the end (even though it is a helpful feature for those who don’t understand certain concepts) and utilize that extra space for the translation and commentary. Fourth, and finally, allow the author a little extra space. What’s an extra 30 pages or so going to hurt? It’s still a very small, compact commentary even with the extra pages. When I first picked up this commentary my hope was to use it as a textbook for my class on 1 and 2 Kings. I thought, “Great here is a small commentary that my students can read through in order to gain the big picture of 1 and 2 Kings.” Some may disagree, but I find it hard to gain the “big picture” in a commentary that doesn’t present the “whole picture.” This leads to my other concern with the commentary. It really doesn’t present the big picture of 1 and 2 Kings. Goldingay is great with interesting insights about a particular story in the books of Kings, but he never steps back to connect the stories and show the overarching themes that hold the stories together–big themes like grace and judgment, or the fulfillment of the prophetic word that run through the entire book of 1 and 2 Kings. 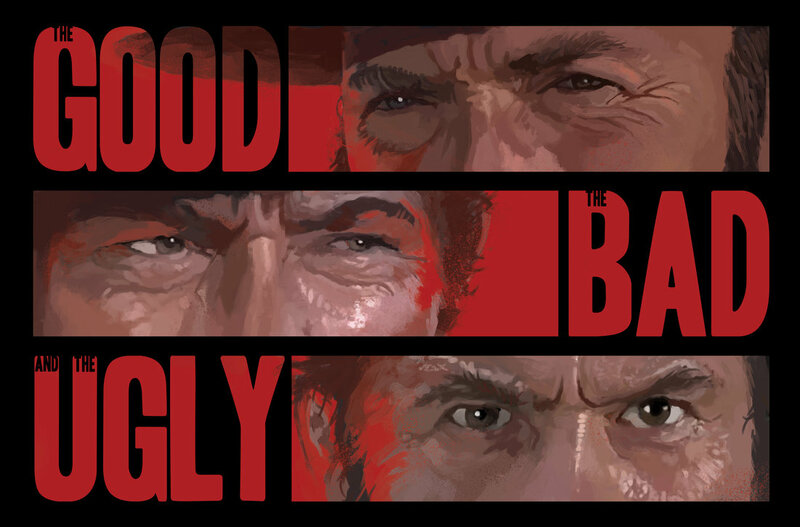 Now for the “ugly” part of 1 and 2 Kings for Everyone! Beauty is certainly in the “eye of the beholder,” so I’m aware that some will disagree with me here. When one reads through this commentary on 1 and 2 Kings, it is easy to discern Goldingay’s love and respect for the Word of God. It is also easy to discern his love for God and his desire to communicate God’s love and word to others. This is why I find statements throughout the commentary that undermine the trustworthiness of the Old Testament so perplexing. As I read the commentary I often had the feeling that Goldingay was trying to live in two worlds: the world of an evangelical believer and the world of a liberal critical scholar. (I realize these stereotypes are inadequate, but please forgive me. I’m trying to paint a picture of two world-views that seem to be colliding in the commentary.) This is illustrated in two ways. First, anyone who’s read 1 and 2 Kings knows that it contains violent stories. Goldingay’s comments on 2 Kings 1 (Elijah calling fire down to destroy the king’s soldiers) are typical of his treatment elsewhere of violent stories. On the one hand, he seems embarrassed by them and apologetic that they are found in the Old Testament. He writes, “That fact [the apostasy of the king of Israel] doesn’t stop us disliking the way the story then unfolds, with the hapless military losing their lives for following the king’s orders” (p. 108). Again he states, “It still raises the question of why God was willing to have the story in his book and what we are supposed to learn from it” (p. 109). He then goes on to cite the example of Jesus rebuking the disciples for wanting to do the same thing (Luke 9:52-56), but then continues by saying that even Jesus talked “a lot about people ending up in fire (e.g., Matt. 25:41). This leaves me a bit confused on exactly what Goldingay thinks about the passage in 2 Kings 1. I say “a bit” because I am also troubled by another statement he makes, which leads to the second problem I have with his approach: undermining the integrity of the text. Regarding this story he states, “We might be inclined to think that it’s not a fact; maybe this is ‘just a story.’ The formulaic way it’s told might suggest that this is so…” (p. 109). Another example of this same phenomenon is on page 111, where he questions whether some of the miracles of Elisha actually happened. He writes, “For myself I am not sure what to think about that question.” He then proceeds to give an answer for each side of the fence. Examples like the ones sited above could be multiplied. Although I am of a different theological persuasion than Goldingay on these matters, I want to be clear about what disturbs me. There are many scholars who’ve written many commentaries with similar arguments to Goldingay’s. I may not agree with them, but they have a right to express their views. However, my problem with 1 and 2 Kings for Everyone is, again, twofold. First it seems unwise to speculate in a commentary that doesn’t allow room to further explain your conclusions. As another example of this let me offer Goldingay’s comment on page 23 that “Deuteronomy hadn’t been written by Solomon’s day….” Goldingay is only quoting scholarly dogma here which contends that Deuteronomy didn’t come into existence until the time of Josiah, and was only later completed during the exile. But a beginning reader has no idea what he means because he doesn’t have the space to offer a fuller explanation. (By the way, in case you’re wondering, I don’t agree with this conclusion.) A statement like this is probably going to result in confusing the reader (who hopefully knows that Moses came before Solomon). On the other hand, the reader may accept it at face value (because, after all, a scholar said it), but have no idea for the basis of this assertion. Second, because of the brevity of space, it seems that it is more important to focus on what the text means (presumably that’s why a beginning student of the Old Testament is reading the commentary). The reader probably has enough questions about the Old Testament. Why not use the commentary on the text to answer some of those questions, rather than undermine the text? 1 and 2 Kings is written as history. Granted, it is theological history, and it is history written based on ancient, not modern standards. But to say that “this could just be a story,” or “we don’t really know if this happened,” undermines the ancient author’s authority who presents the events as factual. Based on the reasons enumerated above (the bad and the ugly), if a person was looking for one good commentary on 1 and 2 Kings, I, unfortunately, could not recommend this one. This is not to say that a person could not profit from some of the insights contained in this commentary (the good), but with all due respect to Professor Goldingay, there are simply better “layman” commentaries available for 1 and 2 Kings. Thanks Spencer. I’ve wondered about Goldingay’s theology series. I’m glad to hear that it is good.